I feel like I am really struggling to get into the Christmas Spirit this year. I know part of it is because I am still coughing and not feeling myself. My car is still being fixed, it was supposed to be finished on Friday but then wasn't and should be by tomorrow. Earlier today I spent a hideous hour at the very busy Mall while the Apple Store tech wizards fixed my computer which actually turned out to be a problem with a simple (and cheap) cable connecting the hard drive to everything else. That was a huge relief, I can't tell you how much I missed my laptop! Even earlier today, at 3am, my cat that was sick at Thanksgiving was throwing up violently again and I had to take her in to the Emergency Animal Hospital. She was there all day, on fluids and is now home again. I could really do with a few more hours in the day and a bit more sleep! 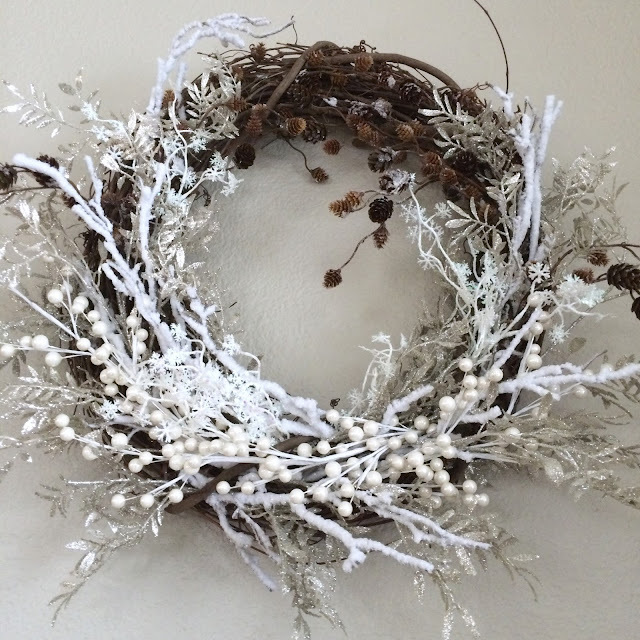 On my to do list for this weekend was making a wreath to go over my mantel. I have been collecting some wintery branches, sparkly leaves and sprays of berries from Michael's. 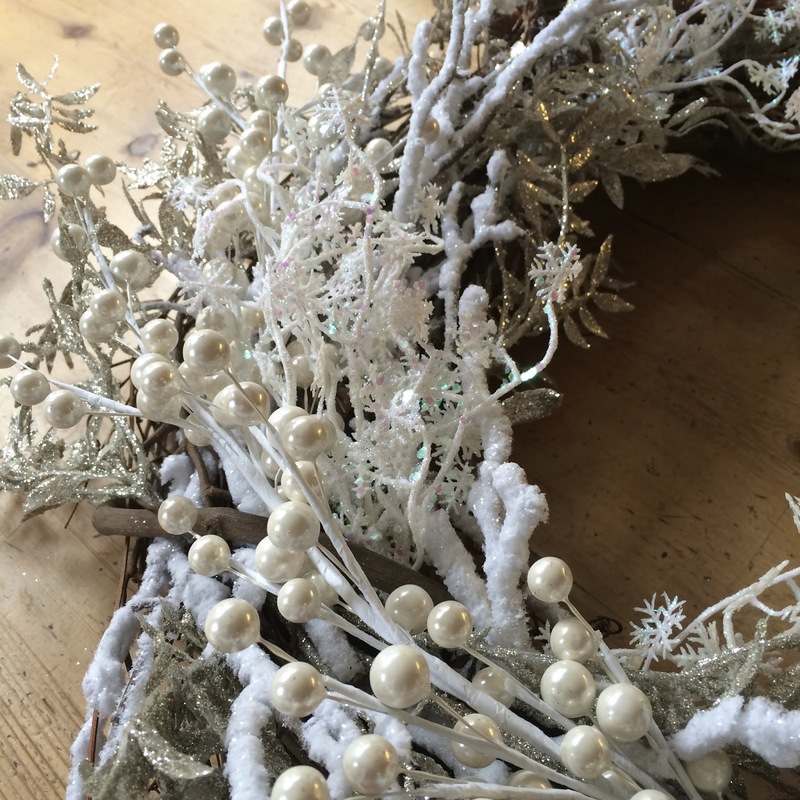 In my head I could see a wreath that looked like it had been snowed on, crisp and sparkly with fresh flakes. This wreath came out exactly how I imagined, don't you love it when that happens?! We are not having a Christmas tree this year because of our new dog so safe decorating has been a challenge. Sometimes all you need is some glitter.